COUTURE BRIDAL DESIGN - Measures 6 3/4" long and about 1/2" wide. Many matching stunning cz earrings sold separately - please see our earring section. 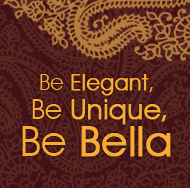 Bella-tiara is a bridal hair accessories online retailer. 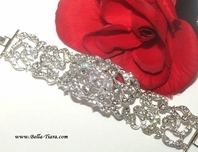 we provide tons of bridal accessories at affordable rates including: bridal jewelry, wedding veils, crystal wedding tiaras, wedding necklace sets and bridal headbands.